It's been a long time coming, but it's finally here. Forsaken, the final instalment of the Stealth trilogy is now available for purchase on Amazon and Smashwords. 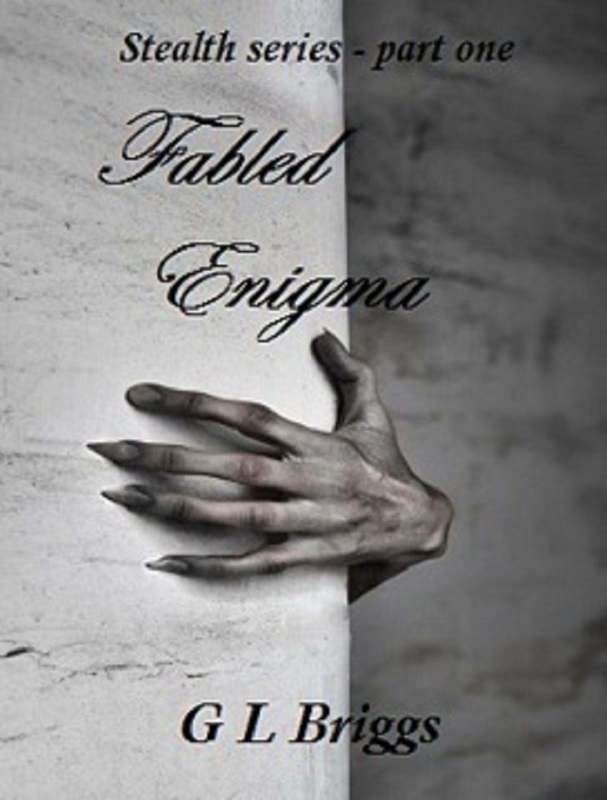 The reluctant allies, Elena and Thanatos, are back in this final instalment of the Stealth trilogy. Stuck in the Forsaken Realm and separated, they encounter many foes in their search for each other and the way back home. Having solved the problem of the Xarthian army’s attempt to take control of the Physical Realm, Elena and Thanatos now face their greatest danger yet, the very gateway to damnation itself. 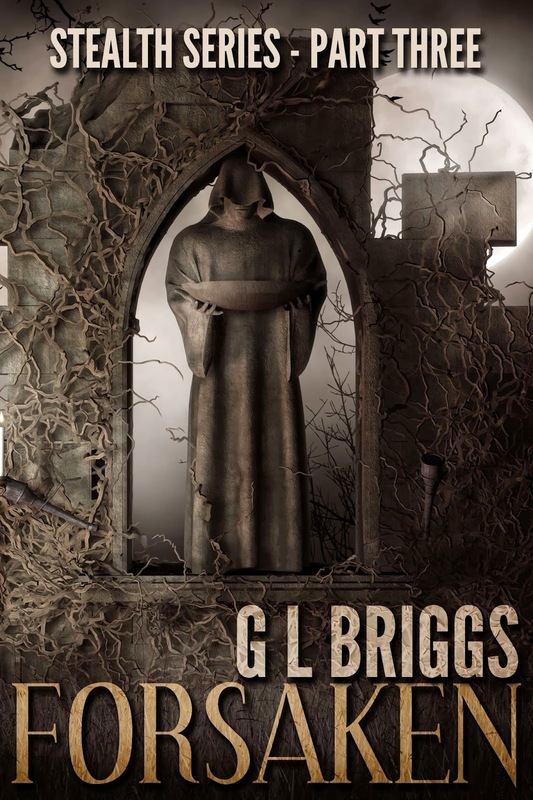 Follow their adventures as they are abandoned by the church, encounter devastation, and are forced to face their worst fears. If you haven't read the first two book in the series, you can purchase a copy of them by clicking on their pics on the sidebar. A belated Happy New Year to you all. 2014 is going to be a very busy, yet wonderful year. There is a lot going on this year with regards to my writing. In fact, so much that if I try to tell you about it all in one post, then you'll never get to the end. So, I'll keep this short and sweet, for now, and tell you about my new book. It's called Forsaken, and is the final book in the Stealth trilogy. The manuscript is with my editor, and she is working on it as we speak. So hopefully the book will be with us very, very soon. I will post sample chapters and the blurb on my website in the next week or two, so keep an eye out for that. So, I want to show you the new cover. Apart from my editor, family and few close friends, you are the first to see it. It's November, which means it's National Novel Writing Month. 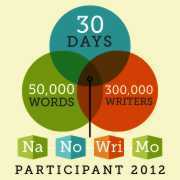 Each year people from all over the world take part in a writing sprint, to write a 50,000 word novel in 30 days. I took part last year, to let off some creative steam, and I wrote the 50,000 words and won. What I wrote last year was a mish-mash of rubbish that I don't intend to publish at all. But I still did it, and it was a lot of fun. I wasn't going to enter this year, because I have so many writing related projects on the go right now, that I wouldn't have time to do a 50,000 word sprint of crappy gobbledygook. But I entered anyway. I decided to use the nano sprint to finish my current projects. We are on day 10 of the nano now, I'm 16,362 words in, and one project is finished and is now in the editing stages. Last years nano was a rushed, frantic frenzy of activity, where we were all panicking to get each daily word count finished. This year though, the whole event feels like a gentle relaxed walk. It's not as much fun as last year, as I am definitely putting more thought and effort into what I write this time around, as this years various projects will be published when written, edited, re-written and edited again once the nano has finished. Due to my various illnesses and problems over the last year, which I won't go into, as you already know all about them, my writing has suffered a lot. I have neglected it shamefully. But I'm hopefully back on track with the writing now, and will have all present projects finished by the end of November. I think winter is here. I mean, damn! It's cold! I've been hearing reports of snow in certain areas where my online friends live, but we haven't had any here in Manchester yet. It's certainly cold enough though. I hope, if it does snow, that it does it properly this year. I hate, hate, hate that slushy stuff that pretends to be snow for only seconds and then... just isn't snow any more. I've finally found a creative writing group in my area. I accidentally ran across it on Facebook, and decided to attend one of their meetings. It was interesting, and I will try to attend regularly. Online groups are great, but there is no substitute for the real thing. The funny part is that this local group had been going for 50 years, but I've never heard of them before. I'm surprised it isn't more well known, or easier to find, both online and off. To correct this, I am going to tell you about it. It's called the Monday Night Group, and is based in the City Centre in Manchester. Not sure if any of you were aware, but the Million Mask March was on 5th November. All the groups, anonymous, occupy etc got together to organise, all over the world, peaceful demonstrations. I was unable to attend, but followed their progress online, and I just wanted to give them a big shout out. You guys were awesome!! The turnout was great in every city that was involved. The press should be ashamed of themselves for not covering it properly. Well, that's it for now. See you next time. Please take part in a 3-minute silence today in remembrance of all who lost their lives in the line of duty. We shall never forget! Sorry it's been so long since my last blog. Well, it actually hasn't been that long really, because I deleted my last blog. I wrote it in anger and frustration at my problems that couldn't be fixed, namely health and wealth (or lack thereof). I responded to government remarks of people not in work and the benefits chaos that is about to ensue this coming April. The only thing that has improved is my attitude towards everything that is about to happen, both to me and to everyone else. I won't go into details, as I am sure that each and every one of us will be affected in some way by the changes going on around us. But things aren't all doom and gloom. 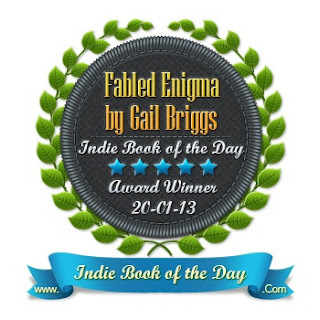 Two days ago I won an award for my novel, Fabled Enigma. It isn't the biggest award, of course, but I was very pleased. I will be framing my certificate as soon as I can. My next two or three books are almost finished, and will be with us soon. I say two or three because, two of them are mine alone, and one is a collaborative novel written by myself and a few good friends. We are now bringing all our work together and its looking like its going to be quite a chunky tome. It was interesting to work with other people on a novel like this, because the ideas bounced off and it got quite exciting. Can't wait to see the finished product, it's going to be great. The weathermen said last week that the whole of Britain was going to be covered in snow, and for everyone to be careful etc. I love snow. It's cold yes, but its beautiful and fresh and can be fun. Trouble is, I don't think Manchester counts as being part of Britain. We didn't get any snow. We got smidging little, can't tell if it's raining or not, non-stick slushy rubbish. Until two days ago. Then it stuck for a couple of hours. No drifts or build up of the beautiful white stuff. There are little patches of it in places that show us that it did indeed snow, a little. But that's all. I wish I lived in an area where they actually get real snow. Amazon, the place where most of us buy our books, has removed some reviews from my books. Their excuse was that they will no longer allow rival authors to review each others works. Trouble is, the reviews removed were not from other authors, but from actual non-author fans of my work. I was, to put it mildly, very miffed and upset to find the reviews gone. Can I appeal to anyone who has read my books to pop along and review them. I would be grateful for your help in this, as Amazon has gone slap happy with their policies right now, and only seems to like and enjoy having 'rich and famous' authors on their site. In case you didn't know, my books have now joined the ranks of the 'select' programme. I did this so that my books can be borrowed for free by Amazon Prime members. So, if you fancy a read, then pop along and borrow my novels. Be careful in the snow, and wrap up warm on your travels. I wrote 50,119 words in 25 days. Phew. Although it wasn't actually as hard as it sounds, I don't want to do it again any time soon. I am proud of my achievement and will be downloading my certificate today. I will post the first chapter soon, when I have made it readable haha. To anyone else still writing for the nano and chipping away at their word count. You can do it! Just keep writing! 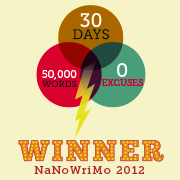 As my previous post says, I entered the Nanowrimo contest, where we have to write a 50,000 word novel in 30 days. We are on day 6 now and everyone should have a word count of at least 10,000. My word count at the start of day 6 is 11634, which makes me ahead and very pleased with myself at this point. I seem to have adopted a strange mentality of writing with total abandon and not caring about the outcome. Oh, I had a story in mind, and made a plan of the first few chapters, and I have waffled on to my hearts content. But, regardless of that, following the story as I planned it, it is now actually starting to become a story, regardless of all the waffles going on in there. A lot of it will have to be changed, made better, or simply edited out at the end of the 30 days, but that's to be expected. I have written seven chapters up to now, and the story is still only just starting properly, so that should tell you how much waffle is actually in there. I will tighten the story up when the nano ends on November 30th. I am enjoying writing and not really caring that it's a total mess at this point. It's fun. Although I can't really see myself taking the same attitude with the books I intend to publish. Yes, you heard that right, I do not, at this point in time, intend to publish the Nano novel I am writing. I am just doing this for fun, letting off some creative steam. No stress involved. When the nano is all over, and Christmas will be approaching, I will get back to my regular program of finishing off and editing the 'real' books and getting them out there. 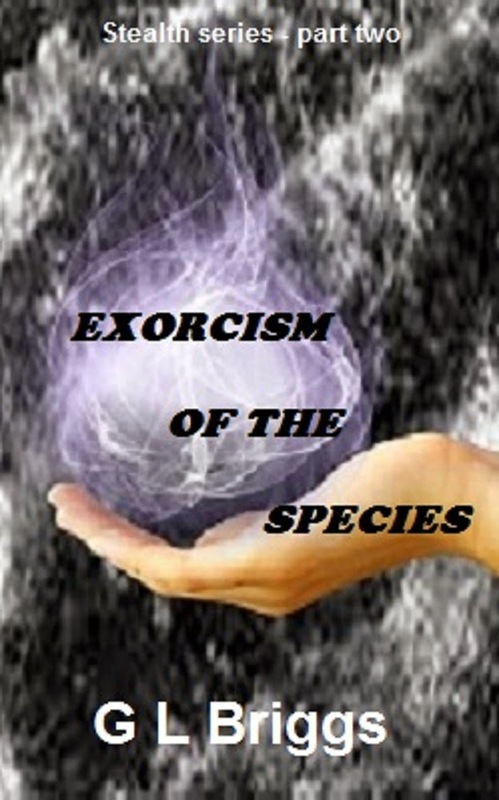 My last update is regarding my already published books, Fabled Enigma and Exorcism of the Species. Since starting the Nano, I have neglected them terribly, and in only six days, they have plummeted down the ranks of Amazon at an incalculable rate. This is terribly disheartening, as they were doing really well prior to the nano and my unfortunate neglect of TLC in their promotion and marketing. It seems to be a total myth that you can write a novel and publish it and then leave it be to do it's thing. This is not so, as I am now learning, to my disheartened cost. I did join the KDP select programme on Amazon, but only so that my books will be available to rent in the kindle library. So, to end this blog, if there are any kind-hearted people in a generous mood out there, please share, blog, tweet and like my published works. (See, did you notice I never once asked you to buy one? Although I won't stop you doing so if you wish to read them). I'm hoping I will learn by my mistake and again begin giving some tender loving care to my novels.